The story of a young American girl living in South Africa during the early years of Apartheid (1948-1960). 223 pages, 6"x9", Hardback, 2017. In "More Answers" Candace goes beyond answering questions about Swedenborg, which she does with brevity and clarity and addresses a number of her own issues from a strict conservative childhood, which led her to trust the wrong men. Definitive biography of John Chapman. Fifteen lessons by Rev. Donald Rose. Topics include seeing the Lord as you look at someone's face, how faces mirror God's infinity, communication, how we can see God face to face and more. Set includes a Teaching Notebook and Rev. Rose's Student Book. This book is a manifestation of a lifetime of the learned and applied scholarship of the late Rev. 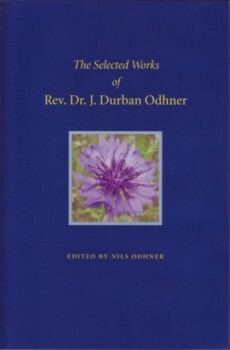 Dr. John Durban Odhner (1924-2002). As such, it illustrates not only his linguistic aptitude and prowess across the minutiae of Latin, Germanic, and other non-Roman languages, but also his dedication to the investigation and practical dialogue in New Church doctrine, his love of different cultures and religions, as well as his humorous and idiosyncratic demeanor. ISBN: 978-0-9832087-0-9, 284 pages, 6 1/4 x 9 1/4 inches, hardcover, 2010. Joseph Campbell forged an approach to the study of myth and legend that made ancient traditions and beliefs immediate, relevant, and universal. His teachings and literary works, including The Masks of God, have shown that beneath the apparent themes of world mythology lie patters that reveal the ways in which we all may encounter the great mysteries of existence: birth, growth, soul development, and death. Biographers Stephen and Robin Larsen were students and friends of Campbell for more than twenty years. With exclusive access to his personal papers and journals, they weave a rich tapestry of stories and insights that catalogue both his personal and public triumphs. paperback, 6x9 inches, 636 pages, 2002. King offers a unique history of gardens and their significance across a wide range of cultures. She explores the metaphor of the garden as a model for heaven and the meaning of gardens in the life and work of Swedenborg. 7 3/4 x 9 1/4, 168 pages, 2011. Lisa Oz takes us on a "transformational journey as she explores the three relationships that matter most: with the self, with others and with the Divine." 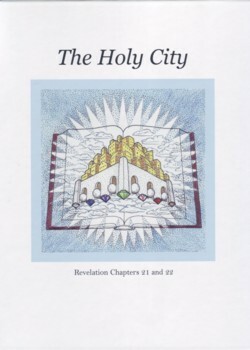 A book for children and adults, with words and pictures depicting the beautiful Holy City as described in the book of Revelation. Quotes from Apocalypse Revealed by Emanuel Swedenborg tell of deeper meanings within the words and imagery. ISBN: 978-1-936665-05-1, hardback, 58 pages, 8.5 x 11 inches, 2012.